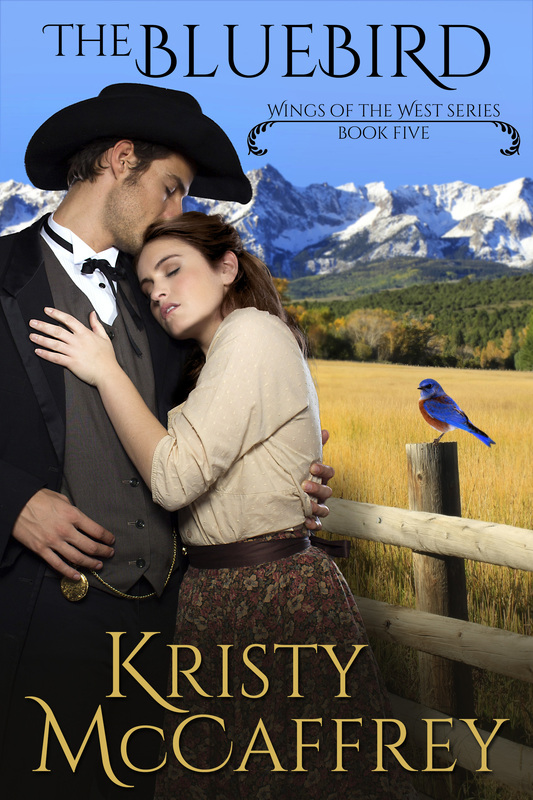 Disappointment hits ex-deputy Logan Ryan hard when he finds Claire Waters in the midst of a bustling Santa Fe Trail town. The woman he remembers is gone–in her place is a working girl with enticing curves and a load of trouble. As a web of deceit entangles them with men both desperate and dangerous, Logan tries to protect Claire, unaware his own past poses the greatest threat. Plagued by shame all her life, Claire is stunned when Logan catches her on the doorstep of The White Dove Saloon dressed as a prostitute. She lets him believe the worst, but with her mama missing and the fancy girls deserting the place, she's hard-pressed to refuse his offer of help. As she embarks on a journey that will unravel the fabric of her life, one thing becomes clear–opening her heart may be the most dangerous proposition of all. “The whores are much prettier up that way.” The toothless Mexican smiled wide as he pointed up Pacific Street. Logan Ryan considered the comment as he tied off his horse and approached a two-story building with the name WHITE DOVE SALOON painted with flowery white flair on a red background. He hitched a boot at the bottom of a well-worn step and rested hands casually on his hips. Claire Waters couldn’t possibly be here. Maybe the Mexican, reeking of whiskey, had misunderstood him. You lookin’ for a Waters woman? Sí, you find one there. Logan was sure this was the building the man had fingered. He pushed his hat back, aware of the fast approach of nightfall, both by his weariness and with the increased activity inside the saloon and behind him on the dusty street. Cigar smoke and the unruly voices of the men inside filled the air. Las Vegas was a bustling town on the Santa Fe Trail, last stop before reaching the town of Santa Fe, and with so much traffic—traders, merchants, ranchers, and the military from Fort Union—an abundance of saloons and dance halls was to be expected. Maybe the Mexican had simply assumed Logan was looking for a good time. He climbed the steps, keeping his exhaustion at bay with the anticipation of finding Claire Waters. He’d ridden in record time and had stopped for only a few hours at Fort Sumner to check up on Lester Williams, the ranch hand who had brought Claire home after her brief stay with Logan’s folks at their SR ranch. Lester’s telegram—stating that he was too ill to return—had prompted Logan to check on the older man who’d been with the Ryan family for years and was more than a ranch employee. Thankfully, Lester’s health was much improved and he’d soon be able to return to Texas, but he’d been bedridden with a fever for more than a fortnight. It concerned Logan that Claire might also be sick. What if she was wasting away from some mysterious illness at this very moment? The batwing doors to the saloon flew open with a piercing squeak. A blur of black silk and bare flesh slammed into Logan. Before he could steady the sweet-smelling bundle, the woman fell back on her rear end with a firm thump. With curves in all the right places and an eyeful of cleavage that would tempt any man, Logan’s eyes slid over the woman in silent approval. Although he’d never been one to dally with saloon girls, the thought suddenly had merit; the intensity of it surprised him. He leaned down and offered to help the woman—obviously one of the pretty whores the Mexican had mentioned—to her feet. “Sorry, miss. Are you all right?” He glanced into the saloon, half expecting a randy customer to be right behind her. As the woman raised her eyes to his, the green depths triggered recognition and shock. Air drained from Logan’s lungs as surely as if she’d barreled into him again. “Claire?” He was stunned. The black hair had thrown him. Claire Waters had long tresses the color of the sun. Her eyes widened. “Logan? What are you doing here?” Her panic was plain to see. “Looking for you.” He ignored the sharp stab of disappointment over what her attire and disguise implicated—that she wasn’t the quiet and reserved woman he’d come to know at his folk’s ranch. Truth was, he hardly knew her at all. But he’d wanted to see her all the same, and had come full of worry and expectation. “Why? Is something wrong? Is Molly all right?” She ignored his hand and stood on her own. Logan watched as she hastily smoothed the tight bodice that showcased her attributes in a way that set his teeth on edge. What had been nearly irresistible to him a moment ago was now displayed for any and all to see. He didn’t like it. Logan reached up to brush aside the long dark strands impeding his view of Claire’s face, but she hastily shifted the wig herself. Reluctantly, he let his hand drop. Logan frowned. When he’d spoken with Lester, the man was uncertain of Claire’s exact whereabouts—he’d dropped her outside of town three weeks ago at her insistence, then had headed southeast to Fort Sumner. He said Claire had convinced him all was well, with her home only a short distance away; so he’d let her go, not altogether certain he should have, but soon after he’d begun to shake and shudder, barely able to sit his horse before succumbing to the fever. Logan should have been the one to accompany her back to Las Vegas, but when Claire had decided to head home the timing couldn’t have been worse. His pa and the ranch were gearing up for the spring roundup, and Logan couldn’t shirk his duty to his old man. “No. He’s doin’ fine.” He couldn’t understand why he was both glad and bothered by her concern for Lester, a flash of jealousy surprising him. Claire stared at him from under a hideous black mop and a dress he suspected would have to be cut and peeled from her body to remove it. Was he volunteering for the job? Swearing under his breath, he took a moment to decide how to proceed. The facts were plain to see—Claire was a prostitute. He should be able to accept that. Many women sold themselves to survive. But it didn’t make him feel any better that other men had touched her. “Yeah. Cale rode with me until Fort Sumner, but then headed to Arizona Territory.” He hadn’t seen much of Cale Walker since their younger days in Texas; Cale had joined the army at the same time as Logan’s brother Matt. Although Logan had returned home more than a year ago—leaving his post as a deputy in Virginia City—Cale, no longer a U.S. soldier, had remained in the territories bounty hunting. The revelation two months ago that Cale was, in fact, the brother of Molly Hart—Logan’s sister-in-law—had drawn their lives back together. She watched him; her graceful lips parted as if to say something while uncertainty played across her face. The loud roar of men arguing about a card game made Claire jump. “Is someone bothering you?” Logan asked. With a hand to her chest, she appeared bewildered. “No. Why would you say that? Actually, I’m really in a great hurry. It’s been wonderful to see you. Please send my best to Molly.” She ran past him and disappeared around the corner. Logan stared after her, shocked by her sudden departure. Knowing he couldn’t return home with so little information—Molly would tan his hide for not visiting longer, although he had no idea how he would break Claire’s situation to her—Logan strode forward to find her. 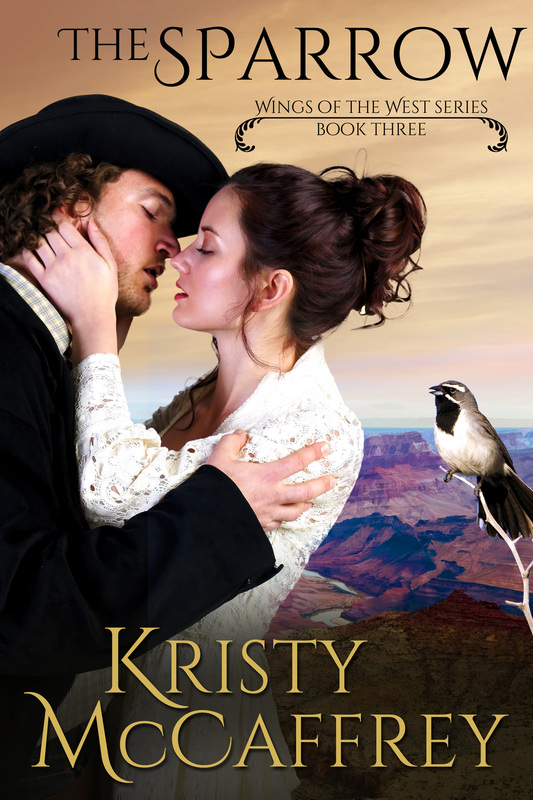 He nearly fell backwards when she appeared on horseback from around the side of the saloon. “What kind of trouble?” It wouldn’t be the first time he’d gotten into the middle of something he shouldn’t. worried someone would see her. And there was that god-awful black wig. His instincts told him the woman inside wasn’t the only one in distress. “The town doctor?” Logan could accomplish that. “I’ll go with you.” He retrieved Storm. The brown mare moved eagerly despite the days of riding she’d already endured. Logan wasn’t certain, but he thought he saw a flash of gratitude in Claire’s gaze when she realized he wouldn’t take no for an answer. 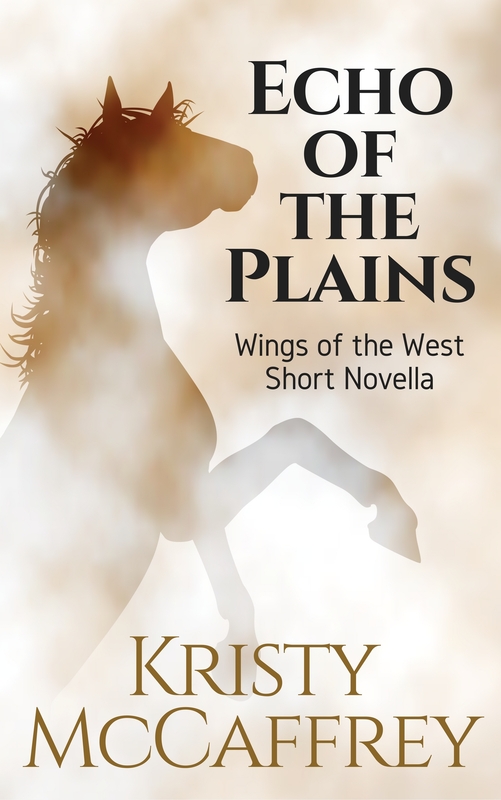 With a nod, Claire kicked her animal into a gallop and led them into the dark alleys behind Pacific Street, then quickly into the moonlit wilderness of the Sangre de Cristo Mountains. Wherever they were going, it wasn’t close. Logan found it difficult to mentally mark the terrain since one spot seemed much like the next—loose rocks, occasional clumps of cactus, and endless clusters of pine and juniper. The branches scraped and clung to his arms and legs. While only a minor nuisance to him, he could imagine how scratched and bruised Claire would be at the end of their hasty, uphill ride. Scantily clad, she was nothing but a distraction to his own mental terrain, the dancehall dress she wore hiked up around her shapely thighs, covered enticingly with dark red stockings. But the woman was determined, and continued moving steadily ahead. Logan’s mind drifted briefly to when he first met Claire. She had arrived at the SR Ranch with Molly Hart, whose folks had been old family friends of the Ryan family. Ten years prior, a shocking raid on the Hart Ranch had resulted in the deaths of Robert and Rosemary Hart, with strong evidence that their second daughter, Molly, had also been murdered. The grisly discovery of a young girl’s body—mutilated and burned beyond recognition—had left little doubt in the minds of Logan and his family. But a twist of fate spared Molly and put her into the hands of the Comanche, with whom she lived for many years until she was able to return home. 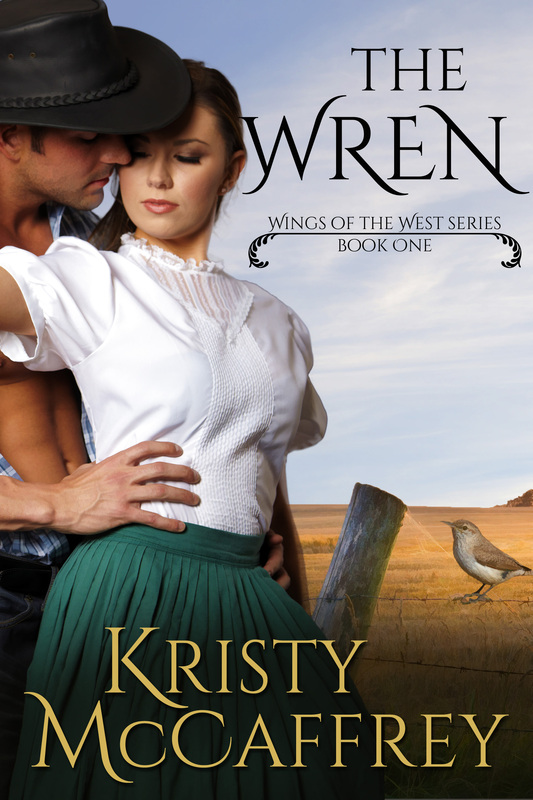 Logan’s folks welcomed her with all the fanfare of a long-lost daughter, and his brother Matt fell hard—surprising everyone when he gave up his rough-riding Texas Ranger days to marry her. But for Logan, Molly’s return had meant something else. It had brought Claire to the SR.
Travelling alone, Molly had journeyed through New Mexico Territory in her bid to reach Texas and the home she hadn’t seen in ten years. Through sheer luck and serendipity she found Claire in a desolate arroyo outside Albuquerque, beaten and left for dead. Molly nursed her back to health, then brought her to Texas. Logan garnered this information from Matt—Claire had never spoken of it during their brief acquaintance, and he’d never been of a mind to pry. With their initial introduction a bit awkward, it should hardly have surprised Logan that Claire never really warmed to him. The first night Molly and Claire stayed at the SR, Logan’s ma had put Claire in his bedroom, thinking he wasn’t due back till morning. He’d been scouting beeves on the north ridge and he’d all but resigned himself to sleeping under the stars, but deep into the night he’d returned to the main house looking forward to a soft bed and a big breakfast. As he always did, he’d climbed into bed as naked as the day he was born, startled to find the warm body of a woman already under the sheets. Claire fought him like a mountain cat, scaring the hell out of him. But, in all honesty, she’d also caught his eye in a way a woman hadn’t in a good long while. His recollection of the memory brought one thought to his mind. If Claire was parading around as a whore, why did her behavior in Texas contradict it? Before he headed back to Texas, Logan would sit the black-haired beauty down and have a heart-to-heart with her. First and foremost, he wanted to find out why none of this added up to a consistent hill of beans. The wig jerked from Claire’s head, snagged on a tree branch. Logan grabbed it easily as he rode past and waved it at her as she looked back, clearly dismayed. “Got it,” he said, pleased to finally see the pale mass pinned atop her head in a tight bun. He’d like to see it down, just once, before he left. Yeah, and the sun’ll rise in the west. He’d best watch his intentions with this woman. His ex-fiancée, Dee Griffin, had taught him that good intentions and a good woman didn’t necessarily go hand in hand. As much as he’d tried to please Dee, she’d still skipped out on him without a goodbye or even a go to hell. Anything would have been preferable to her silence and cowardly escape in the arms of another man. The horses broke through the trees to an open, grassy area and a small adobe building came into view on the far side. Smoke rose from a chimney and a pale light flickered through the one and only hazy window. Claire slid from her horse before the animal completely stopped. Her fancy boots with ridiculously high heels hitched in the dirt and she fell to the ground with a startled gasp. Before Logan could dismount and help her, she was up again, hobbling toward the cabin. “Tia! Are you here?” Claire pounded on the door. Logan came up behind her as it opened. A short, robust Indian woman greeted them, a frown etched on her face. “Tia, thank God,” Claire said quickly, out-of-breath. The mention of the name Griffin caught Logan’s attention. The connection seemed farfetched—he’d looked for Dee in the days and weeks after she left him, but the trail had been difficult, ultimately drying up in Denver. By then he’d been fed up with her, with women, and life in general. He backtracked to Nevada, resigned his deputy position in Virginia City, and headed to Texas, finding refuge with his folks and the day-to-day labors of running a cattle ranch. “Her woman’s bleeding?” Tia asked. “Like that, but worse. Much, much worse.” Claire’s voice ended on a sob. “Logan Ryan, ma’am.” He tipped his hat. “It’s not like that,” Claire cut in. As he clasped her hand, Logan was aware of the Indian woman’s curiosity but it didn’t bother him. He sensed her strong affection for Claire. “Do you have a horse?” he asked. “You can ride with me,” Claire said and urged her toward the two animals waiting behind them. Logan ran a hand down the horse’s snout. Reverend’s grayish hide was long and unkempt but his eyes were a clear deep black. While it was obvious he wasn’t accustomed to constant, vigorous exercise there remained a fire in him nonetheless. Logan nodded in silent approval, sensing the horse’s scrutiny much the way Tia had sized him up moments ago. Claire surrounded herself with creatures of opinion; perhaps the reserved blonde beauty had convictions as well. Logan was struck by a sudden desire to know her better. While he’d thought of her often since her departure from the SR and had come here with the intention of finding her—although until now he wouldn’t have admitted it—the truth was more of a problem than he needed in his life. Instead of coming face-to-face and finding her less attractive, less intriguing, less interesting—she was only more so. And possibly a whore to boot. His knack for picking women was priceless. “Claire can ride with me,” Logan said and helped Tia onto Reverend. Then he mounted Storm, grabbed Claire’s hand and hauled her up behind him. He snatched the wig from where it rested on the pommel, twisted his torso around and pushed the black mass onto her head. “Thank you,” she murmured, her hands brushing his as she tried to reposition the disguise. “You look better as a blonde.” Claire’s look of confusion—the result of a simple compliment—brought a smile to his lips once he faced forward again. She clearly wasn’t schooled in the ways of a saloon girl. Logan felt the first ray of hope that maybe all wasn’t as it appeared. “Do you know the way?” Tia asked. “You’d better go first.” He didn’t want to risk getting them lost. No doubt every minute counted where this woman Ellie was concerned. “Hold on,” he said to Claire. He grasped both of her hands in his and pulled her snug against his back. It was for her safety, he told himself. And if that wasn’t a load of crap, then he didn’t know what was.